The Ischia Holiday Planner Service isn't currently available. If you're looking for more general advice about which area of the island might suit you best, drop us a line at info@ischiareview.com and we'll get back to you with a profile of the island's different areas. As you can see from our Ischia Hotels and Accommodation sections, there's an incredible amount of choice when it comes to planning your holiday here. We've tried to give you as much information about the various hotels, villas, apartments, hostels, campsites and agriturismos as possible but with the amount of choice on offer, it's understandable that you may be a bit confused about what's best for you. 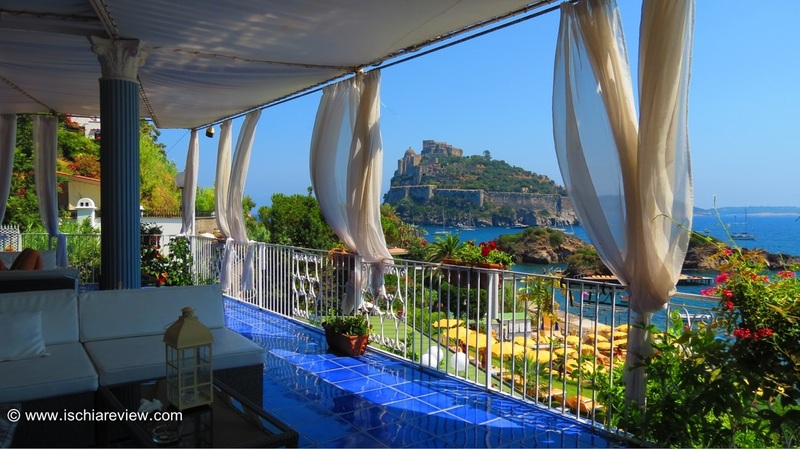 That's where our Ischia Holiday Planner comes in. We are here to make Ischia as accessible as possible to English-speakers who may not have been here before or even have heard of the island. We are already here and know how fantastic it is and we want to share that with as many new people as possible. For this reason, you'll find that when you contact us we'll give you great advice and friendly assistance even if you're not paying us to use any of our services. Our Ischia Holiday Planner service is provided so that you'll have the best possible time if you do come to Ischia and that you'll have had such a great time here that you'll share your experiences with your friends and family so that they might follow in your footsteps and visit the island or even that you'll come back yourselves. So how does it work? It's very very simple. Drop us a line at info@ischiareview.com and let us know what kind of accommodation you're looking for. You could be looking for something that's right on the beach, somewhere up in the mountains, a place that's child-friendly or caters well for vegetarians. Whatever it may be that you're looking for, just give us much detail as you can about what would make the accommodation perfect for you and we'll then get back to you with some options, ideas, rates and availability. We know that you can find information on our site, on hotel booking sites or from the hotels themselves, but as we are already here in Ischia we know all of the pros and cons about each place and can advise you accordingly in a more personal and friendly way. We also have contacts with private villas, apartments and residences on the island that you won't find on other sites and that gives us the widest possible range of accommodation to choose from. We'll also help you plan your travel here by giving you advice about which ferry or hydrofoil to take from the various options available. Again, there are many different ways of getting to Ischia and we can help to unravel some of the confusion by giving you good advice about what might suit you best. By doing this we should be able to save you some time and even money to make sure you have the best possible time here. We can also give you some suggestions about the things you might like to see and do when you're here including excursions, pony-trekking, wine-tours and much more.